because we are written in it. My hair looks incredible! Better than a magazine; better than I could imagine. Never been happier with the results! Absolutely love the cool friendly environment. All the stylists are happy and I'd leave the salon with any one of the cuts or colors they did. 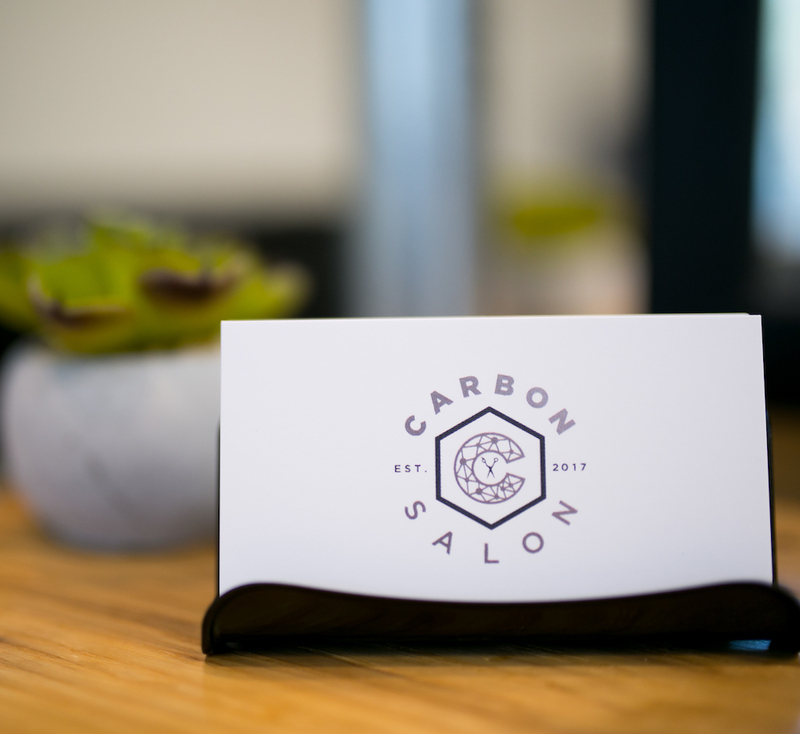 Carbon Salon is a beautiful and welcoming salon conveniently located on Main Street. Walking in for the first time I noticed how bright, open, and lively everything was. I refuse to go anywhere else even though I live 45 minutes away! Their prices are competitive and skills can't be met anywhere else! This salon was incredible. I had never been to a salon before and I loved that everyone was welcoming and friendly. I absolutely loved it!! I loved the vibe and the decorations! Definitely will be coming back!! I've had Amanda doing my hair for years and years so it is absolutely wonderful that this salon in now open. I drive quite a ways to longmont so that she can work her magic and it is always worth it. Carbon is a beautiful space with some even better people. Definitely recommend! The most clean, professional, and friendly salon I have ever been to. I highly suggest giving this salon a visit for all of your wants and needs, the ladies are friendly and the advice is accurate. I will never get my hair done anywhere else. Can't say enough good things about this salon. The interior is beautiful and the customer service was fantastic. They offered me a drink as soon as I checked in and again when I got in the chair. It's comfortable and upscale without being stuffy. I booked my next appointment before I even left. Great job! Amanda, Stephany, and the rest of the ladies there are talented, professional, and friendly. I love getting my eyelashes, brows, and hair done at Carbon Salon! They have created the perfect balance of friendliness and professionalism with very talented hair stylists.